The recall only involves the 2WD diesel units, meaning all petrol and all 4WD units remain unaffected. Fiat Chrysler Automobiles (FCA) India has announced a recall of certain units of the Jeep Compass in India. Officials have clearly stated that it is not a 'safety' recall, as the error which is to be rectified does not compromise the safety of the occupants or the car itself in any way. Authorised Jeep dealers across the country will contact owners of affected vehicles and the error will be rectified at no cost to the customer. The recall itself involves 11,002 units of the Jeep Compass diesel manufactured between 18th December 2017 and 30th November 2018. The recall, which is likely to begin in the first week of March, will be undertaken to update the Powertrain Control Module (PCM) software of the affected vehicles. The precautionary update will eliminate any production variations that might cause the affected units of the Compass to exceed the regulatory limit for particulate matter emission. While we don’t know whether the company figured out the problem on its own or not, it does seem likely that the affected customers might have faced difficulties in obtaining Pollution Under Control (PUC) certificates for their vehicles. Either way, the recall is certainly beneficial for the environment. Dealers too won't have much trouble in handling the recall as the FCA India officials have stated that the necessary software update takes only fifteen minutes for each vehicle. 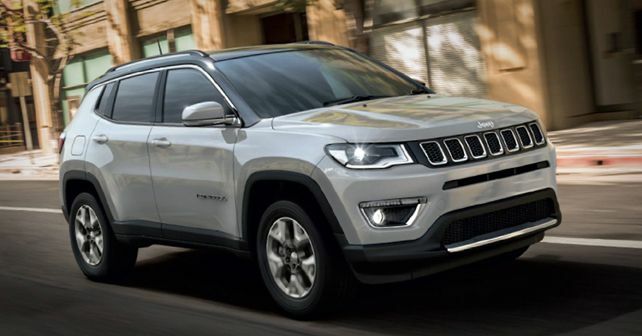 Recently, Jeep introduced the Longitude (O) variant in Compass' petrol line-up. This variant was previously available only with a diesel engine option.